Speaking with this news site on the eve of today’s national election, the candidate on the Virgin Islands Party (VIP) who is aspiring to becoming the next Fourth District Representative for the territory, Ms JoAnn ‘Roxie’ Romney said the problems that lead persons to gun and other related crimes are embedded in the prevalence of unemployment and opportunities for youth to be otherwise engaged. “Overall, I think that we need a stronger police presence in the community in particular also with the local merchant establishments because we have been very challenged with that,” she said. She added that if there are more job opportunities the crime rate would be driven down. Romney added that the need for a closer working relationship with the police force is another point of note. “We need to have a closer alignment with the police force. They are going to need support from government to facilitate that but, beyond just that, we have to be able to speak to the residential areas as well,” said Ms Romney. There are a number of other things that Ms Romney has on her plate as issues and challenges to overcome or tackle once in government. She said that never before has the gap between the rich and poor been wider in this territory. 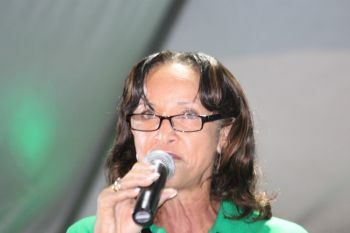 “Never before, in these Virgin Islands, has such power been wielded without accountability and concentrated so heavily in favour of the tiny minority at the top of the economic ladder with indifference to the many challenges of most of our people,” she said in her final address to the territory via a press release. Among the other issues, Romney mentioned, are to clean up the deplorable state of the Capital, address the garbage and sewerage issues, work with Team VIP to establish reliable water and power supply to every home in the 4th District, create user-friendly access to public facilities around the District for the physically handicapped, refurbish historical buildings and facilities like the Old Post Office, the Old Prison, House Of Assembly Chambers, Road Town Ferry Dock and Terminal, and the Softball Field and create tie-in between the Cruise Pier, Crafts Alive Village vendors to a vibrant, pedestrian-friendly cultural experience on Main Street. If elected, Ms Romney said a VIP Government will build a Junior High School with a view toward reducing over-crowding at the Elmore Stoutt High School. 2019 is your year--keep doing the good works you are doing and saying the good things you are saying. Mark will wash her away in a tsunami of votes. the shootings we had in road town resulted from disputes between individuals: that should not be classified as arm robberies.. at the end of the day any category of crime or gun crime should be addressed: I remember back in the day we had murder once every 4 years : we no longer put God First!!! Good ideas. But lack of much earlier retail politics will cause her to come up short. It is about real politics.